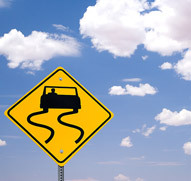 There are many things that can happen during an automobile accident. The most important factor is what kind of damage is done to the muscles, ligaments, and spine. Many times an automobile accident victim, through no fault of their own, has their life changed forever. By seeking care from a licensed chiropractor, the patient has a much greater chance of having less pain and suffering later in life. Our chiropractors have treated numerous auto accident cases, and he understands the importance of returning to work as soon as possible. We will handle all of the insurance billing for you or if you have an attorney handling your case we will work directly with them. Our goal is to make this as easy as possible on you and to make sure you feel great after the care is complete. If you have been wronged in an automobile accident and want to make sure that your life will not change for the worse, then we highly recommend that you contact our office.